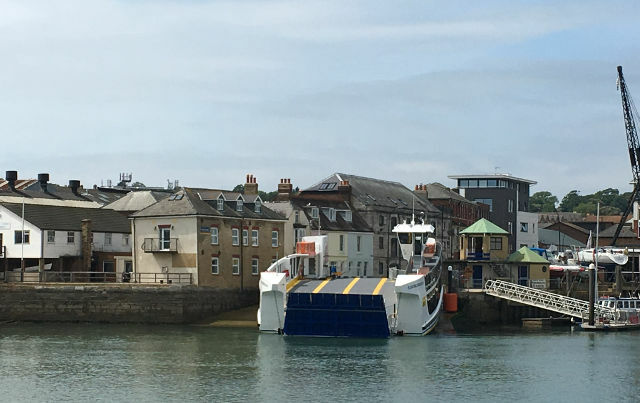 As reported by OnTheWight a week ago, an incident report revealed the Isle of Wight Council failed to adequately identify or control ‘significant hazards’ on the Cowes Floating Bridge ahead of an accident that saw a crew member airlifted to hospital. A second Freedom of Information Request request, this by Megan Baynes, now reveals that in the early afternoon of 26th September, the crew member was found, injured and unconscious, in the bridge’s engine room. He was subsequently airlifted to Southampton General Hospital. The man was working on the hydraulic tank, then stepped over a hatchway towards the wheelspace. He then collapsed at the foot of the access ladder, holding his arms on his chest, before losing consciousness. He suffered an injury to his neck, his knee and several cracked ribs. The report said he was ‘exposed to or came in to contact with a harmful substance’. The above detail was provided via a FOI (Freedom of Information Request) made to the Isle of Wight council by Megan Baynes, the BBC’s Local Democracy Reporter. On 22nd February, OnTheWight asked the Isle of Wight Council for this same information, but they failed to provide it. 1 Comment on "Previously hidden details emerge about Floating Bridge crew airlift incident"
It appears that the Council put our safety at risk on this floating bridge (and continue to do so by ramming into a pile during spring tides, causing pedestrians to stumble and fall). Is the Health and Safety Executive doing an investigation, as they are the oversight body (not the MCA) for health and safety and floating bridges?